In representational works of art, the image itself is the object of our perception and attention, while the subject is transformed into only part of the story. 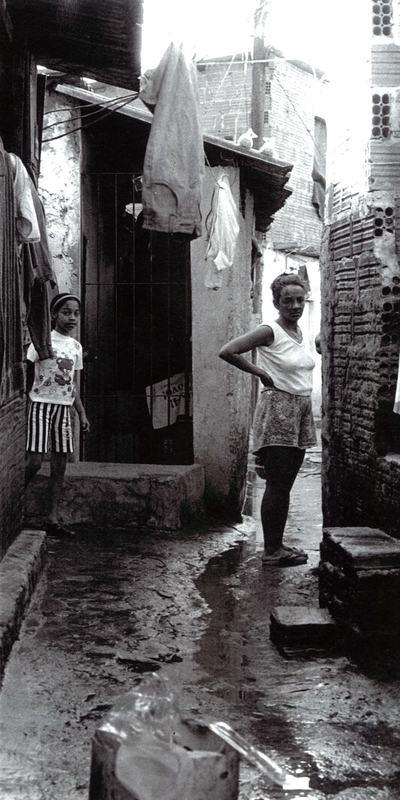 When the subject of a photograph is a slum, favela, or other informal settlement, it can become morally quite difficult to allow ourselves to acknowledge beauty within the image, knowing that real suffering and inequality were present when the photograph was taken. Architects sometimes become enthralled with the medieval-hill-town qualities of favelas like Rocinha, and have often been criticized for romanticizing them. 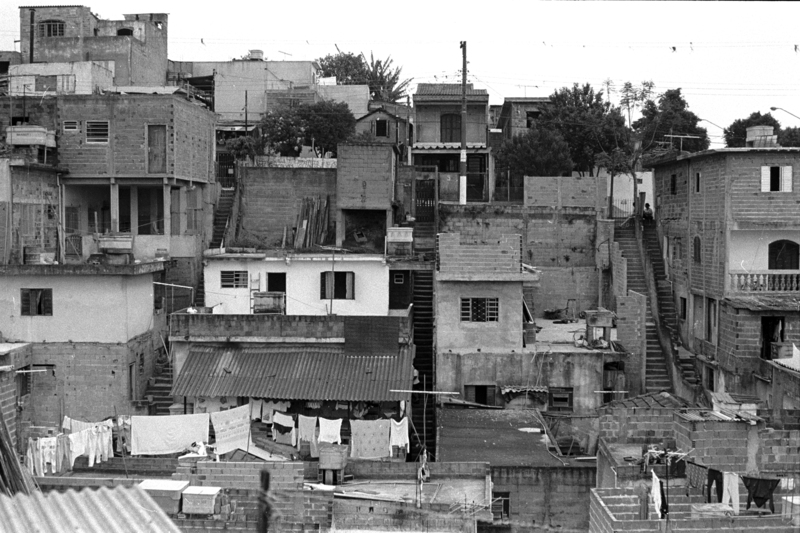 Ananya Roy uses the term “aestheticization of poverty” to describe a gaze adopted by architects which admits only the “primitive organicism of the vernacular” to the view, without acknowledging the processes, activities, and forces that create and sustain informal settlements. Among the new types of architectural interventions that have been built in informal settlements in the last decade or so, some projects do appear to be designed primarily as a formal exercise or as a signifier, using the consistent physical texture of the surrounding settlement as a neutral backdrop. Other projects clearly demonstrate the results of the architect’s determined and devoted attention to context and community. Even some of these these projects’ designers wonder whether their efforts have been worth it. Architectural interventions in informal settlements are a relatively new and therefore glamorous phenomenon, but the success of the idea isn’t yet assured. Will professional designers find a constructive long-term role to play in informal settlements? Some practitioners with years of experience working in informal settlements believe that there is properly no design role at all for architects. It seems that after our brief moment in the spotlight, we could easily slip back into irrelevance. But as Jeanne Gang notes, architects are generalists and are thus uniquely positioned to help with urban issues, as our work touches on class, culture, psychology, economics, technology, history, and ecology. These are beautiful images Bethany- could you provide a little more info on the dates, etc. I would love to see more! 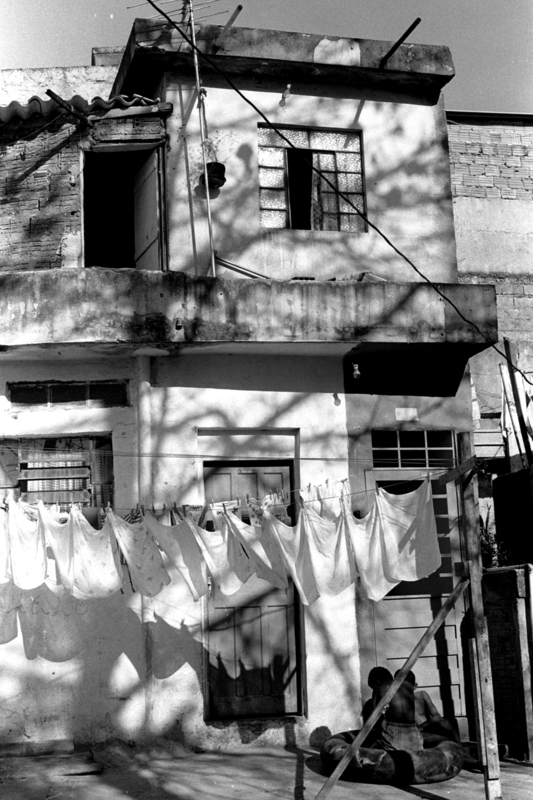 Thank you – These images were made using black and white film in late 1996, when I was doing the fieldwork for my M.Arch. master’s thesis in three “regularized” squatter settlements in greater Sao Paulo – Sao Remo (adjacent to USP), Jardim Santa Rita (formerly Dom Joao VI) in Diadema, and Recanto da Alegria, near the Guarapiranga Reservoir. This is a great article, beautifully written. Im currently writing my thesis on almost the same issue. The meaningful role of Architects working on the built environment of informal settlements….do you have any advice for me on this topic? ?